A four storey building built around 1820 at the corner of Howard Street and Brunswick Street to accommodate a number of linen businesses. The building was altered around 1935 to convert the ground floor to shop units. 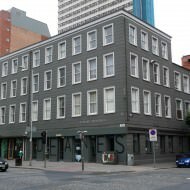 The ground floor unit at nos.38-40 Howard Street was converted from shop use to restaurant use (ref: Z/1995/2725) and a 5,000ft2 restaurant – Deanes – opened in May 1997. 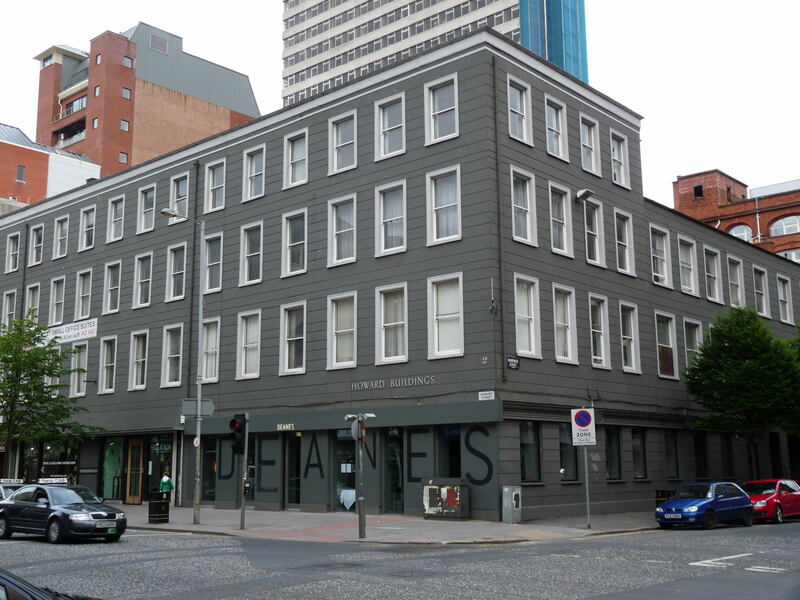 An extension to include no.36 Howard Street facilitated the opening of EIPIC in February 2014. Davcrow Ltd (owner of Howard Buildings since at least 1995) and Rapport Architects submitted a planning application (LA04/2016/2693/F) in December 2016 proposing to change the use of the upper floors from office to hotel (81 bedrooms), create a ground floor cafe and extend at ground floor and third floor level. The proposed hotel operator is Belfast Hotel Group Ltd. The application was approved in May 2017. McCusker Demolition commenced strip-out works in March 2017. On completion in 2018 the hotel will operate via a franchise agreement as an easyHotel.